Elizabeth Warren’s supporters breathed a sigh of relief last week when polling emerged showing her running neck and neck with Scott Brown despite several weeks of stories about her and the universities that employed her having at various points made highly dubious claims about her having Native American roots. But clearly, things are not going as well as hoped for Democrats in the race that seemed a few months ago to present the party with its best pickup opportunity in the Senate—a fiery, well-funded liberal heroine, arch-nemesis of hated Wall Street, running to reclaim the “Kennedy seat” from the affable, Wall Street-funded Republican who wandered into the seat from the state Senate. Massachusetts Democrats are sufficiently anxious that her remaining primary rival, a young immigration lawyer, is getting pressure to leave the field. Heck, there’s now even tabloid talk about Jose Canseco, the former baseball slugger and steroid-era truth-teller, getting into the race. It’s tempting to generalize about Warren’s difficulties. Such as: what’s up with the Massachusetts Democratic establishment twice in a row lining up behind Senate candidates who end up being less ideal in reality than theory? This, I would argue, is going too far. Yes, state Democratic leaders should’ve realized that Martha Coakley, the capable but colorless attorney general, was going to be a lackluster candidate, and considered others in her stead. But it’s easy to understand why the seas parted for Warren—she was the woman of the moment, she has deep grass-roots financial support across the country, and she is pretty darned good at articulating a forceful case for the Democratic agenda. She even flirted with Jon Stewart on the Daily Show—not something one could imagine the buttoned-down Coakley doing. No, the broad (overbroad?) conclusion that comes to my mind as I watch her recent struggles is a different one: Elizabeth Warren is paying for the sins of academia. Consider: both of the main obstacles that have arisen for Warren so far are related not to her outspoken liberalism or to her out-of-state roots or to her recent work in Washington. They are related to her career in the academy. There is the matter of Warren’s wildly overstated Cherokee heritage, which, it’s becoming clearer by the week, were definitely used by her employers, especially Harvard Law School, to make their faculties look more diverse—even as it remains unproven whether Warren herself deployed the claim to advance her career. One does not need to be George Will to note that this represents a David Lodge-quality parody of higher education’s affirmative action neurosis. Then there is the matter of Warren’s handsome Harvard salary —together, she and her husband, a fellow Harvard Law professor, made more than $600,000 last year. Now granted, these are not Romney-level riches we are talking about, and pickup-driving Scott Brown is no chump in this department either—he and his wife, a local TV reporter, earned more than $500,000 last year. But there’s no doubt that Warren’s role as champion of the beleaguered working and middle classes is somewhat undermined by the People’s Republic of Cambridge comfort in which she’s been ensconced. Yes, I know, there’s nothing to stop the elite from having populist convictions, and I don’t think Warren’s pitch is anything but sincere. But when you’re worrying about getting your kids through college in an era of $50,000 tuition, room and board, it is, shall we say, a little bit dissonant to have the rally for the little guy coming from a professor whose bottom line has benefited from those sky-high tuition rates. There is a difference between these two examples, of course. In the case of the Native American claims, it was Warren herself who ill-advisedly got that ball rolling years ago, only to see it blown up like a Fenway Park bleacher ball by academic administrators. 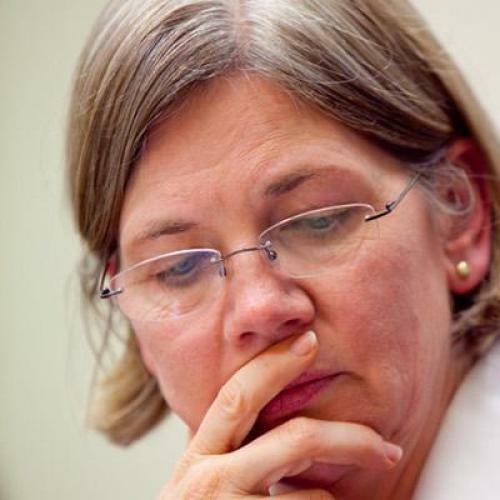 In the case of her salary, well, that’s just the circumstance of a high-profile law school professor at a top school these days; no one’s expecting Warren to have signed her pay away to, say, the American Indian College Fund. Taken together though, Warren’s recent troubles seem to suggest that elite universities, which are striving so hard to prove their relevance and purpose, may have made it difficult for those in their ranks who truly want to make the leap into the public sphere, so rarefied an environment have the universities created for their top employees, both in terms of their cosseted lifestyles and the air of political correctness they are made to breathe. It’s remarkable, really, how few academics-turned-politicians we’ve seen in the past few decades—there was Daniel Patrick Moynihan, and Paul Wellstone, and of course Barack Obama, though he was never really more than an adjunct hanging around campus while he built his political career. Now comes Elizabeth Warren, who seems at first blush as suited to make the leap as anyone—she hails from real America (Oklahoma! Degrees from the University of Houston and Rutgers-Newark! ), she’s shown she can hold her own in the Washington game, and she’s running in the state that, while hardly devoid of town-gown tensions, seems as likely as any not to hold an academic background against a candidate. Yet even she is dogged by the trappings of the contemporary academy. Seriously, if Lizzie Warren, daughter of an Oklahoma City janitor, can’t make the jump from the ivory tower, who can? Her troubles may be a sign that the academy’s moat has grown wider than it ever intended.